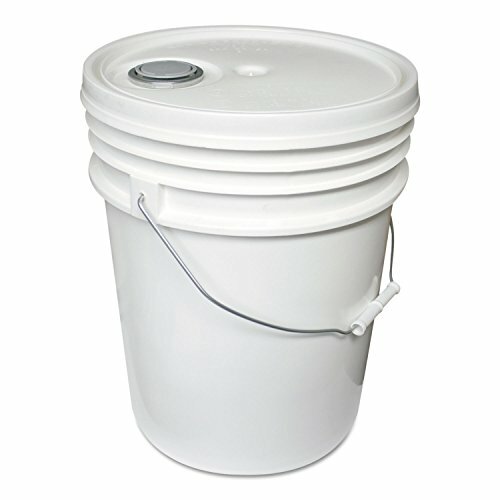 5-Gallon pail with lid. Durable high density polyethylene. Gasket cover. Senior rieke flex spout. Steel handle with comfortable, plastic grip. FDA and UL approved. Measures 14-1/2" height by 1-1/4" depth. White color.